When you’ve been hurt through no fault of your own, a personal injury attorney could give you the guidance and support needed during the legal process. In addition to potentially getting you a favorable outcome for the case, there are other things your lawyer can do to make this difficult time easier to manage. Medical evidence is a crucial part of a personal injury claim, and a personal injury lawyer can help you determine the things needed that could support your claim. It’s typically ideal if you seek medical attention immediately after an injury happens and that you continue to receive it within the bounds of the care provider’s recommendations. Besides collecting documents that detail the kind of treatments received, the dates, and the treating physicians, your lawyer will likely want you to give evidence about how symptoms stemming from the personal injury negatively affect your life. For example, sprains most commonly occur in the ankle and the most serious ones may need surgical repairs to repair ligaments. If your injury has a sprain associated with it, you may not be able to stand or walk normally. In that case, that issue has a negative and measurable adverse impact on your life. It’s essential to talk to your lawyer about the kinds of medical evidence you should collect and how to document your symptoms. Since lawyers help personal injury clients regularly, they will be able to listen to the details of your incident and give advice about therole of medical evidence. Without that kind of legal help, you likely wouldn’t know what kind of evidence your case may require if it goes to court. During your recovery process, it’s essential to follow the orders of your care team. 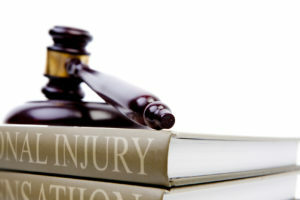 Failing to do so could compromise your recovery and your legal case. Also, many people don’t realize that injuries usually have several phases of healing. Soft tissue injuries, for example, have several distinct phases and if you don’t give your body the time it needs to heal, setbacks may happen. Your lawyer can promote the healing process in a way you might not expect by contacting insurance companies, medical providers, and other relevant parties on your behalf to receive clarification about details associated with your case. As such, you can devote more time to going to medical appointments and resting instead of engaging in seemingly constant phone calls and emails with outside parties. Suffering an injury can make it seem like your world is turned upside down. It’s common to feel that you’re not sure what’s on thehorizon and what to do next. You may also have specific questions about what it’s like to file a disability lawsuit in your state. After hiring a personal injury attorney Nevada residents may get different answers compared to those who live in Virginia, for example. The information given by your lawyer can give you peace of mind that minimizes uncertainty. Your legal professional cannot predict thefuture, but you can get specific details about the process ahead of you. 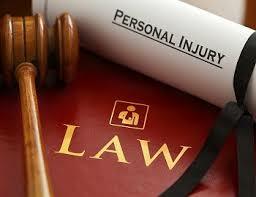 These are just a few of the many perks you could get by hiring a personal injury lawyer. When you’re going through a challenging time, legal information about your case could provide much-needed stability. Compensation – How A lot is a Private Harm Lawsuit Value? The Law and Practice Copyright © 2019.